Lord Monckton recently graced Invercargill with his lordly presence, and from what I hear, impressed some who are convinced that the world's scientific community are complicit in a huge conspiracy. Local reporter Michael Fallow interviewed the Lord (sadly, I can't find a link) and wrote a lengthy piece for the Southland Times. 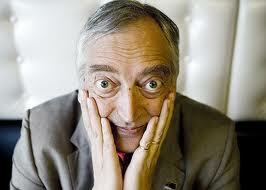 He tried to make sense of Monckton's "dense answers" and references to classical philosophers and medieval scholars. Despite his lordly bearing and his extravagant use of a gaudy coat of arms, Monckton claims to speak for the "working farmers, fishermen, miners and others...". He also describes the media's printing of the broadly accepted scientific view on climate change as "following the Communist party line on this" (his past labeling of young environmentalists as "Hitler youth" is another example of how he regards those who challenge his flamboyant claims). Fallow provided a link to Monckton's primary website that promotes the views of climate sceptics but he didn't refer to a single site that provided a counter view. He suggests that "Criticisms of his writing, methodology, integrity, qualifications, lineage and more can be found anywhere you care to look. Googling 'Monckton myths' is a start." My favourite response to Monckton's visit was a letter from retired forester, John Purey-Cust, his wisdom and wry humour clearly put all sceptics in their place. I couldn't find an immediate link but his letter was the lead one in the Southland Times today and was accompanied by the image below. I have transcribed the letter in full. A small quibble. What we discuss is climate change, a rather different and more complex thing than global warming. A while ago, about the time of the moon landings and since, we were shown many shots of our planet Earth taken from the blackness of space. There it was, many hued and so different from the stark dead lunar landscape, and we could see the thin skin of atmosphere, which makes that difference possible. 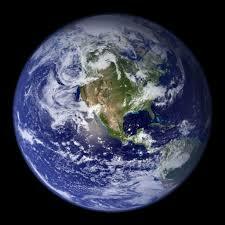 Our atmosphere protects us from the destructive energy of our Sun, regulating temperature and fueling life. Common sense says monkey with it at our peril, change it, upset it and things won't go too well for us. We have already had one go. Remember the ozone hole scare when escaped refrigerating chemicals began eating up the atmospheric ozone layer which protects us from cosmic rays? Sceptics at the time roared with laughter, scientists (and in this case, politicians, too) took things seriously, the offending chemicals were banned by international treaty and replaced with something else, and the ozone hole shrinks. Now we look at images of a dead Mars, and hear the question asked: Did it too once have life of its own (and an Allison and a Monckton also, perhaps)? I like our atmosphere and its ups and downs. It is worth protecting. The rational guy wins it.